We honestly eat hummus just about every day. The great part about this little obsession is how unbelievably healthy it is. 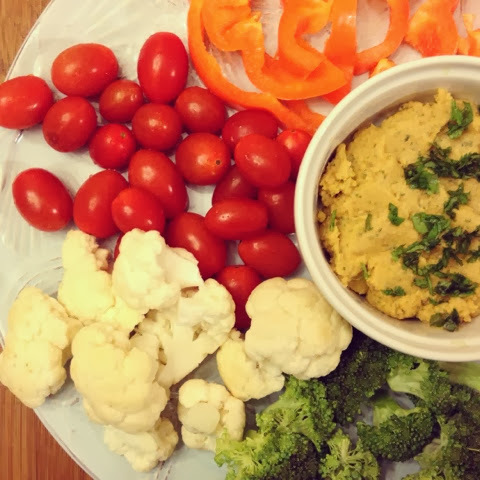 What's better than dipping veggies into organic bean dip? This is super easy to whip up too. Simply toss organic chick peas, Franks's buffalo sauce (which has ZERO calories), olive oil, garlic, cumin, lime juice and lots of fresh cilantro in the food processor and blend away! 1. Rinse chick peas to remove excess sodium. Add beans, buffalo sauce, olive oil, water, garlic, cumin, cilantro and the juice of one lime to food processor/blender and blend until smooth. Salt and pepper to taste. 2. Serves alongside fresh cut veggies. That sounds fabulous, why have I never thought of this? Pinning. 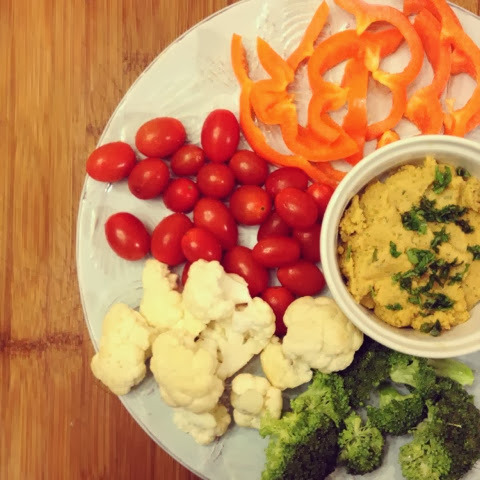 Love hummus pinning to my eating healthy board. Follow you here from the Weekend Retreat Link Up. Love for you to share on a new link up called Real Food Fridays.